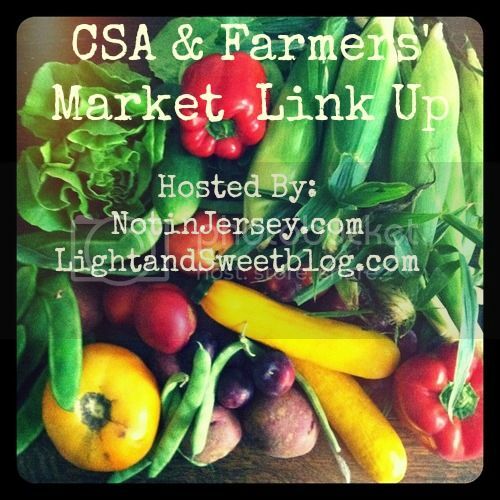 Last month, Filiz and I shared a link up for CSA and Farmers’ Market hauls and recipes. I enjoyed looking at the links that were shared and I wanted to feature them here! At the end of the post you will be able to link up your posts once again for part 2 of our link up! Light and Sweet – Delicious Homemade Pickles – They really do look delicious! 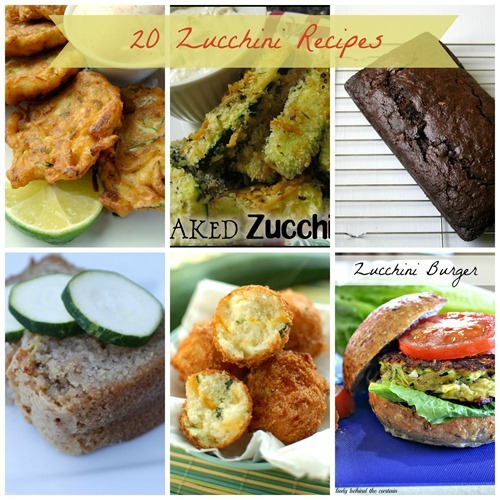 Not In Jersey – 20 Zucchini Recipes – that’s me! 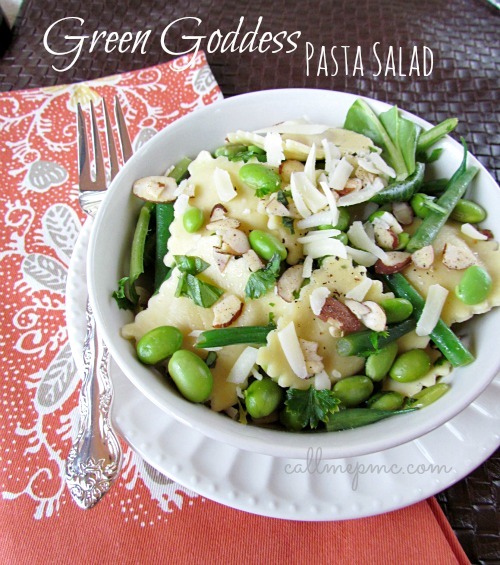 Call Me PMc – Green Goddess Pasta Salad – uses green beans, edamame, spinach, and arugula! 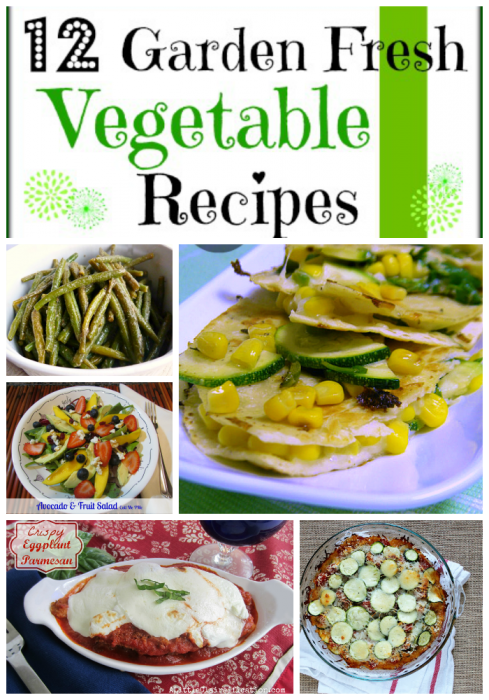 Call Me PMc – 12 Garden Fresh Vegetable Recipes – perfect for our link up! Stars recipes with green beans, zucchini, tomatoes, mushrooms, eggplant, cucumber, and more! 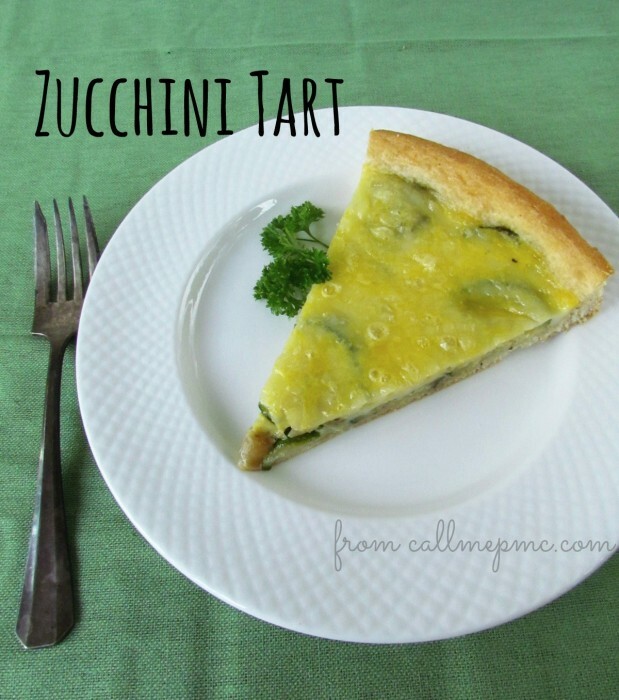 Call Me PMc – Zucchni Tart – Another recipe for zucchinis! Yum! 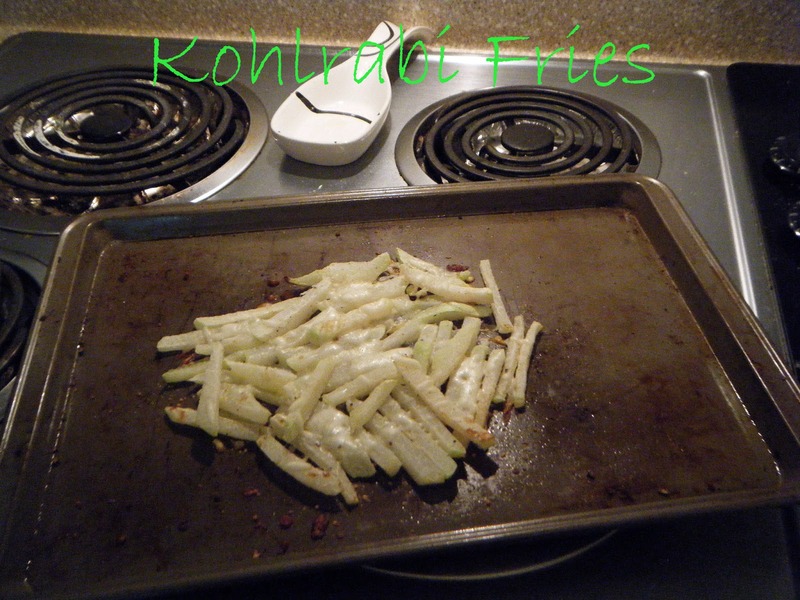 Back Home Again – Kohlrabi Fries – Kohlrabi is one of those strange vegetables that no one knows what to do with! These fries look great though! Now it’s time to link up! This link up is hosted by myself and Filiz. The CSA & Farmers Market Link Up is a place to show off your farm fresh haul and share the delicious recipes that come from them. Please share as many vegetable and fruit related posts as you please! Here is the link up button – use it on your posts – and link up below!